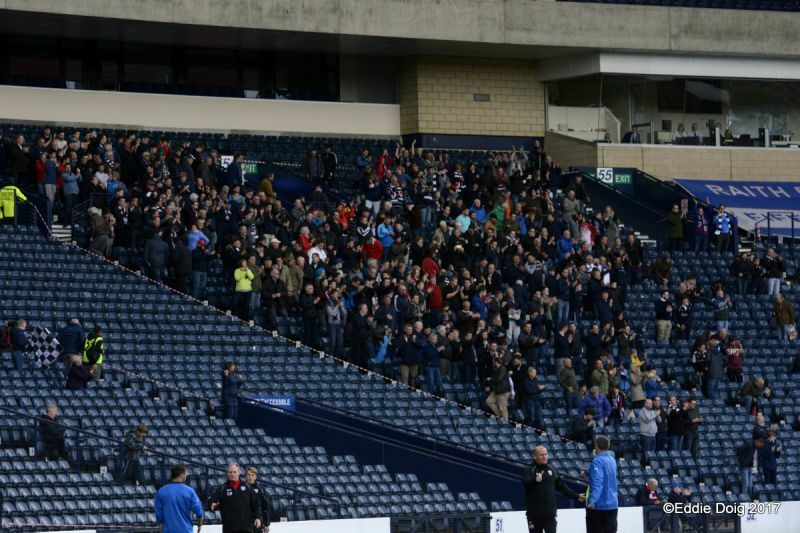 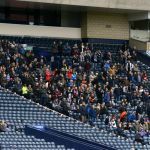 The Rovers fans arrived at Hampden wondering how they would line up against Queens Park. 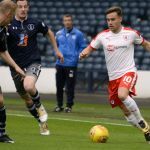 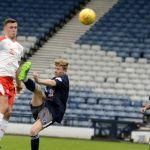 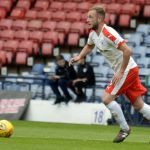 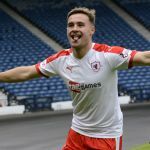 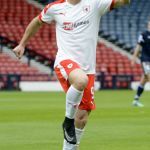 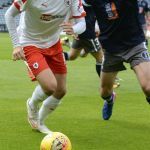 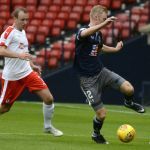 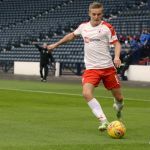 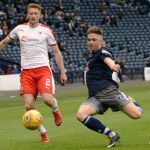 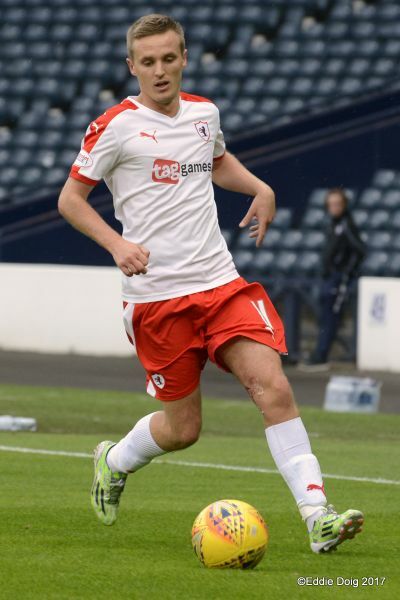 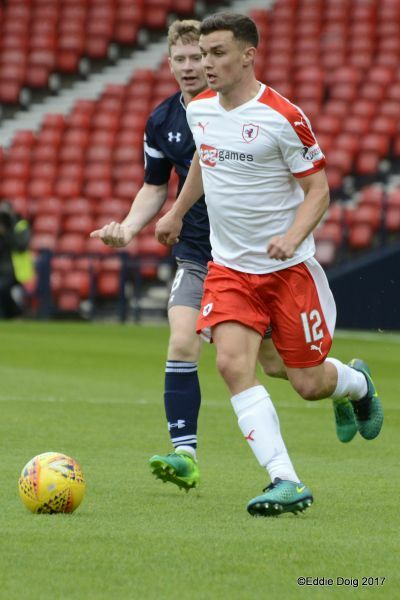 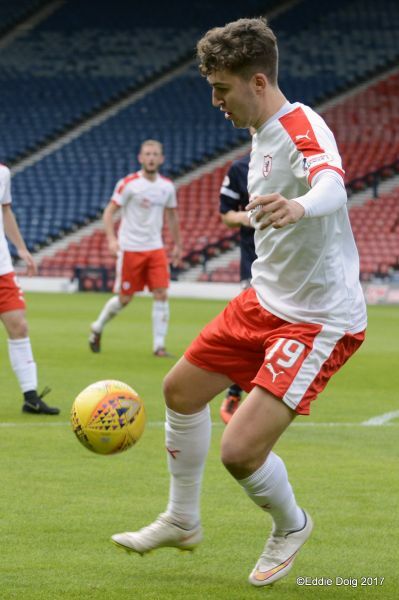 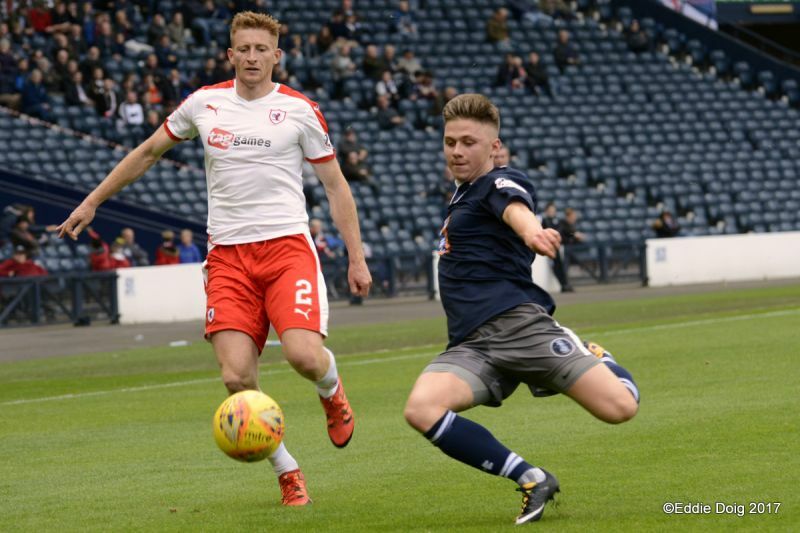 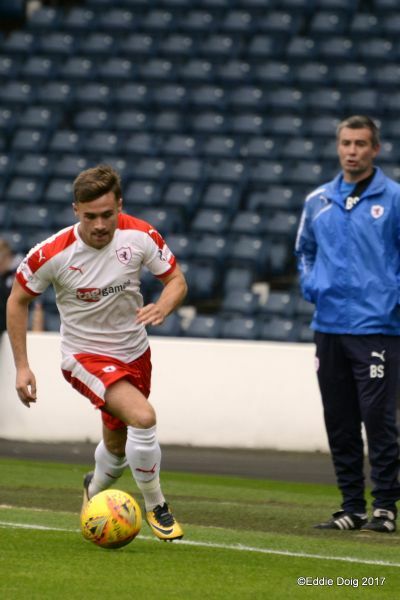 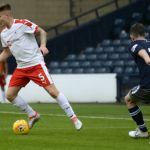 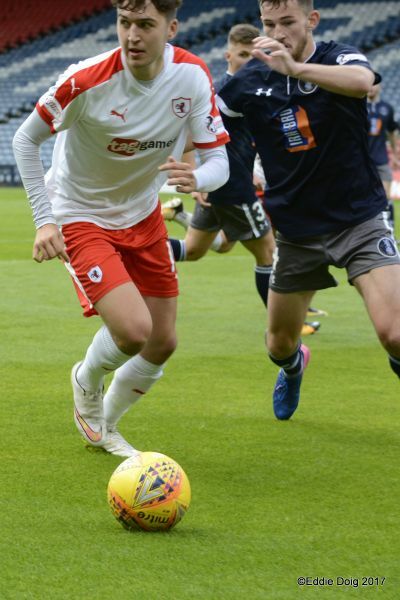 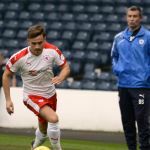 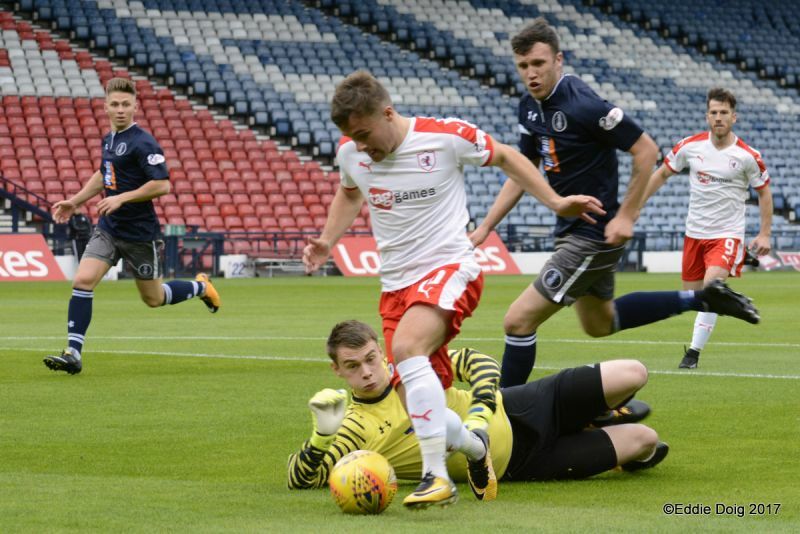 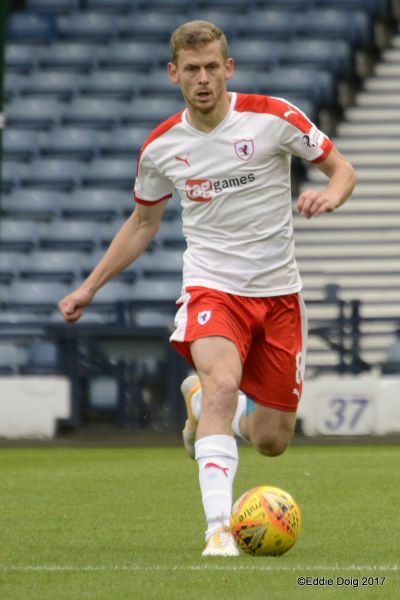 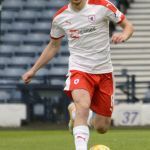 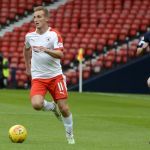 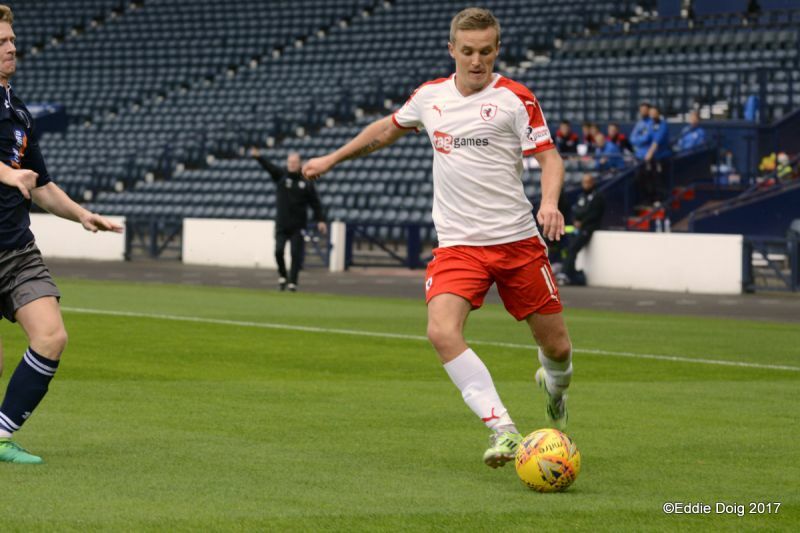 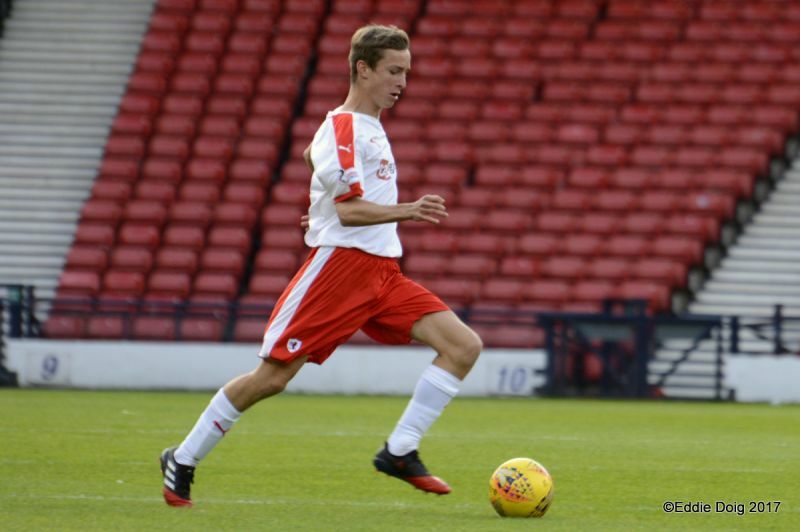 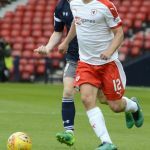 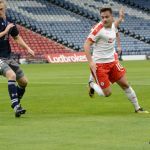 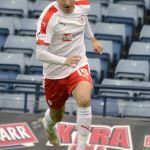 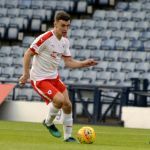 Last week saw news of injuries to Benedictus and McHattie and Raith fans saw youngster Andreas Thorsen also on crutches. 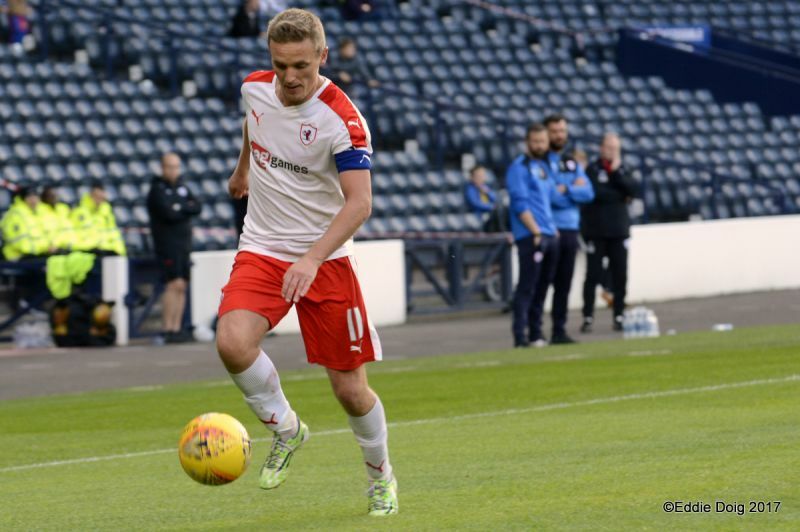 Scott Robertson stepped back from midfield to line up beside Iain Davidson who was wearing the captain’s armband. 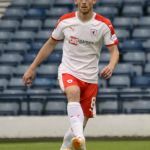 John Herron took Robbo’s place in the middle of the park. 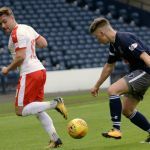 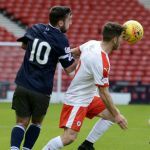 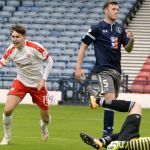 Queen’s Park were hoping to build on last week’s win over East Fife against the Leagues form side. 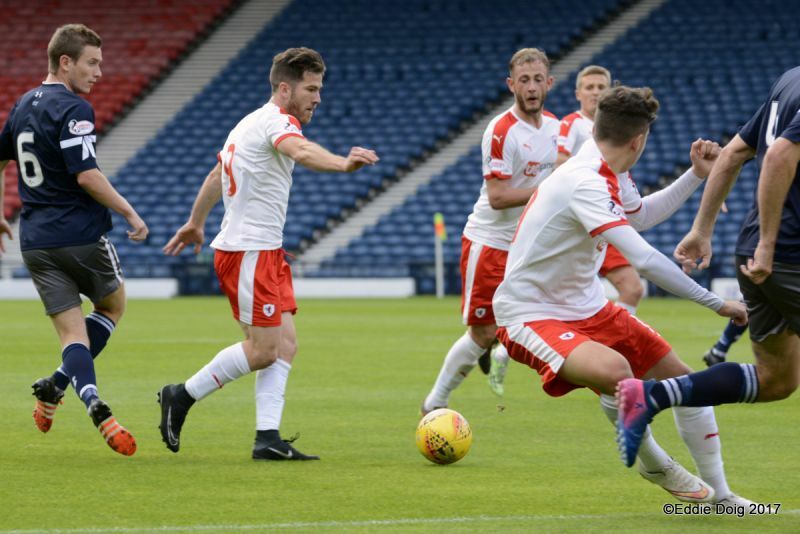 The hosts did not however get the start they were wanting. 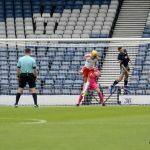 A free kick played into the Spiders box was headed away falling to Barr who’s shot was blocked. 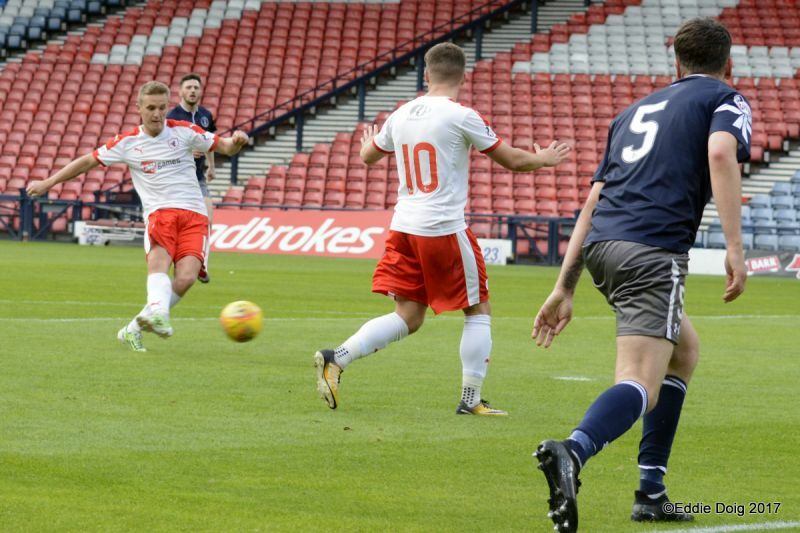 The ball went across the centre of the box falling to Liam Buchanan who volleyed home the opener before the third minute had elapsed. 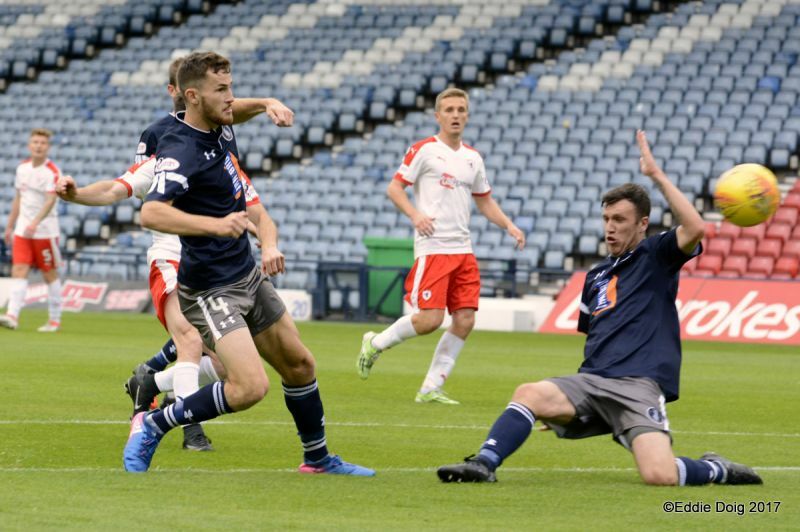 Before the Raith fans had settled in their seats again a rapid Rovers attack saw a good ball into the box. 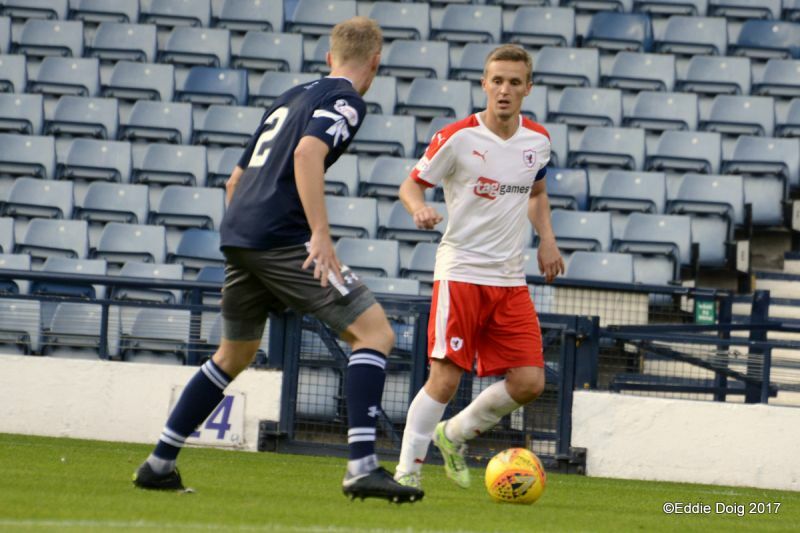 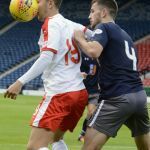 Ignoring a tug on his shirt Lewis Vaughan got onto the ball before the exposed home keeper Muir. 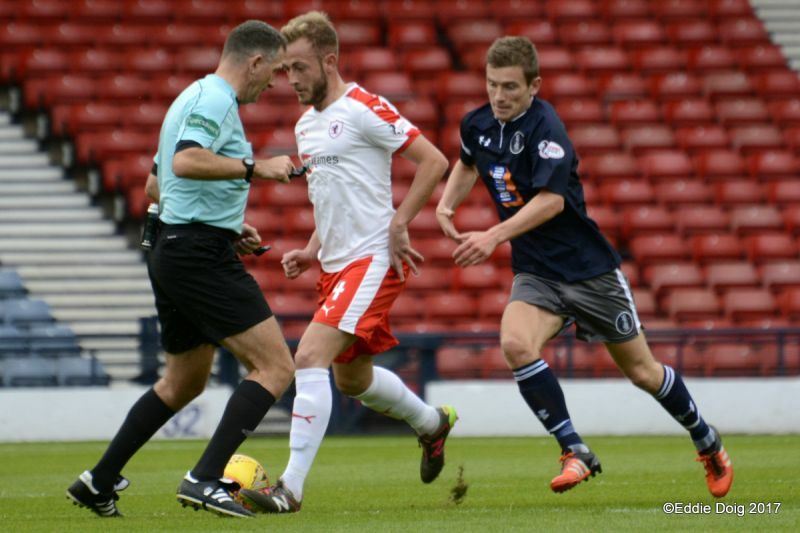 Touching it around the custodian he slid home the ball to score in his eleventh consecutive game. 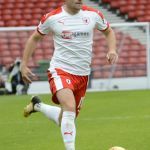 Two up after six minutes the home side were still trying to play football while the Rovers looked to get forward and Barr was felled by a Cummins as he skipped past him. 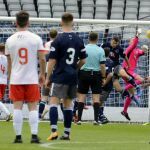 Vaughan fired the resulting free kick just over the bar. 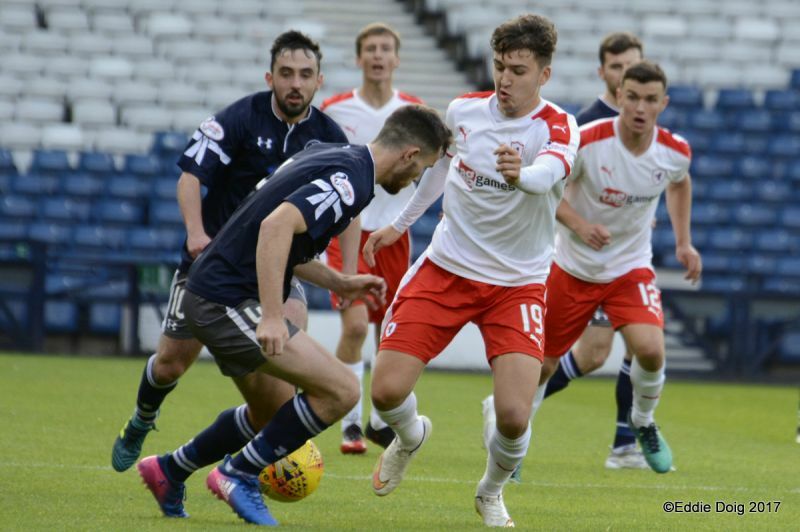 The home side had had a similar amount of possession up to this point and that increased as the half went on. 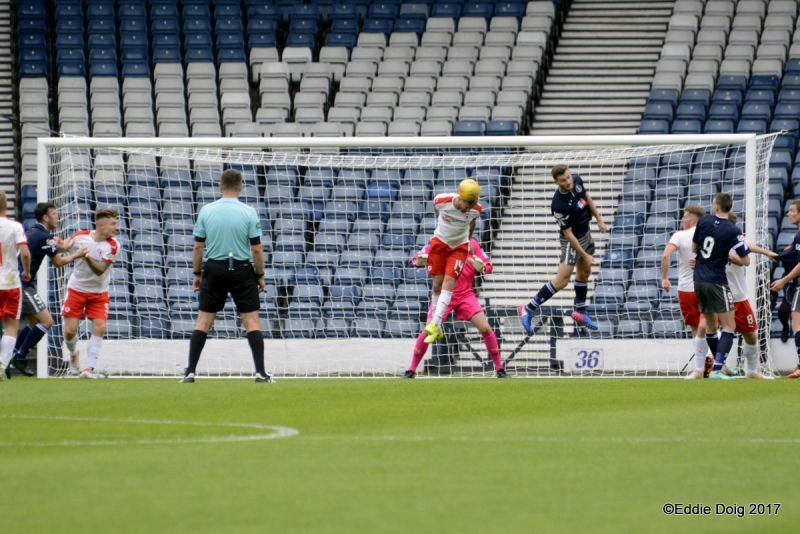 Thomson prevented a foray into the box for a corner which was headed over. 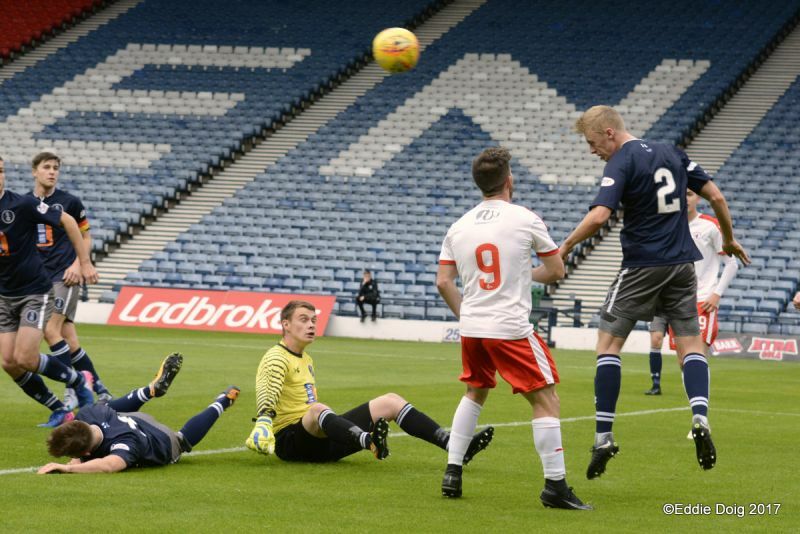 Then Spence half blocked a low effort direct from a free kick before the chance was gone. 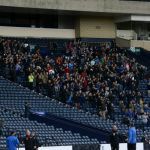 The Rovers had a flurry in the Queens box before Galt shot wide for the home men. 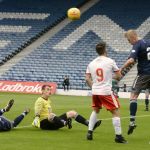 In the 28th minute the home support called for a penalty when Davidson tangled with Burns in the Rovers box but nothing was given. 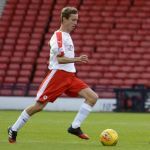 A home man then threw himself to the ground needlessly and three minutes later a free kick was fired straight at Smith in the Rovers goal. 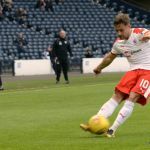 Smith then claimed a cross shot before the next opportunity fell to the hosts when a dangerous free kick was headed away by the Rovers. 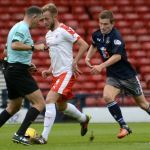 Murray and Vaughan tried to combine on the left before the whistle brought the first half to an end. 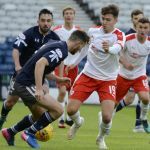 There were no changes at the half and the home side continued where they had left off. 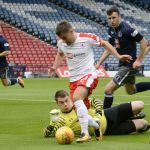 In the fiftieth minute Spence was replaced by Zanatta. 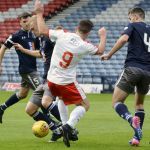 The big Hearts lad – who’d had a spell with the home side – saw his ex-team mates win two corners in rapid succession. 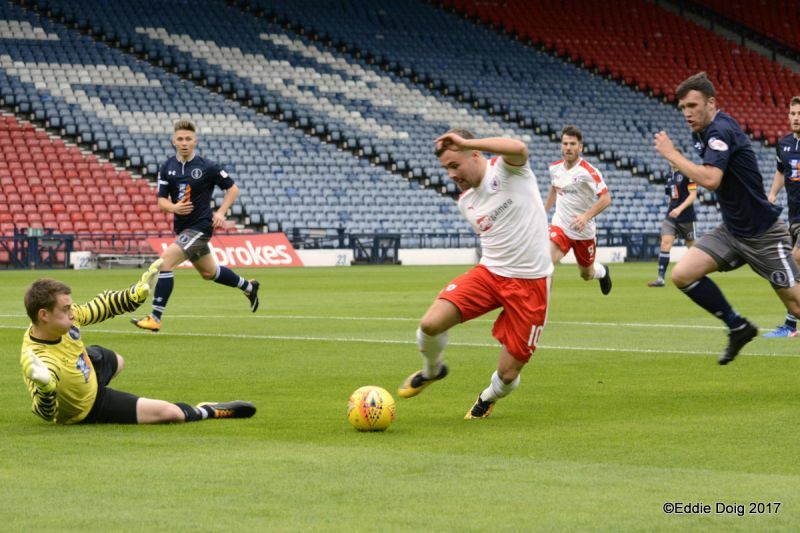 However in the 54th minute the loanee picked up the ball wide left and getting into the box drove along the by-line as Buchanan took up a great position for the cut back. 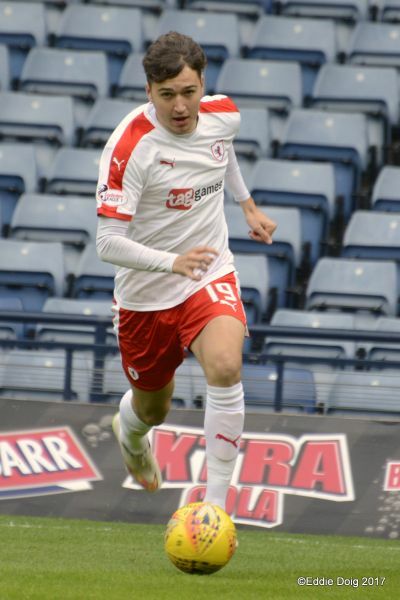 Dario Zanatta however had another idea and fired a shot in low past Muir to make it 3:0 to the visitors. 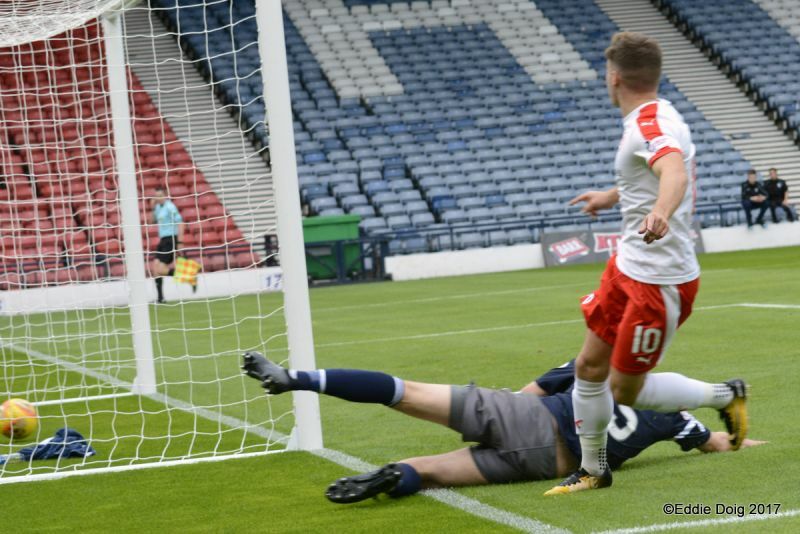 The next opportunity came when Liam Buchanan scampered goalwards and Zanatta made a good move for a pass but watched as Liam’s shot from twenty yards pinged back off the post with the keeper beaten. 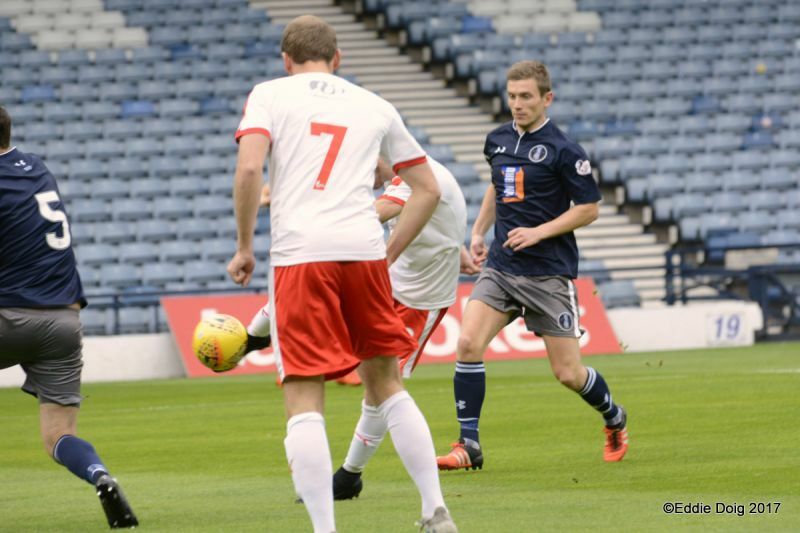 Just after the hour Queens man Orr, who had come off the bench, used skill to get space in the box before leathering a shot across goal and out for a throw in. 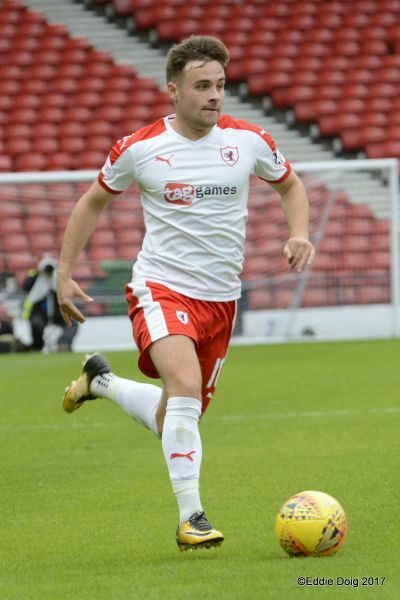 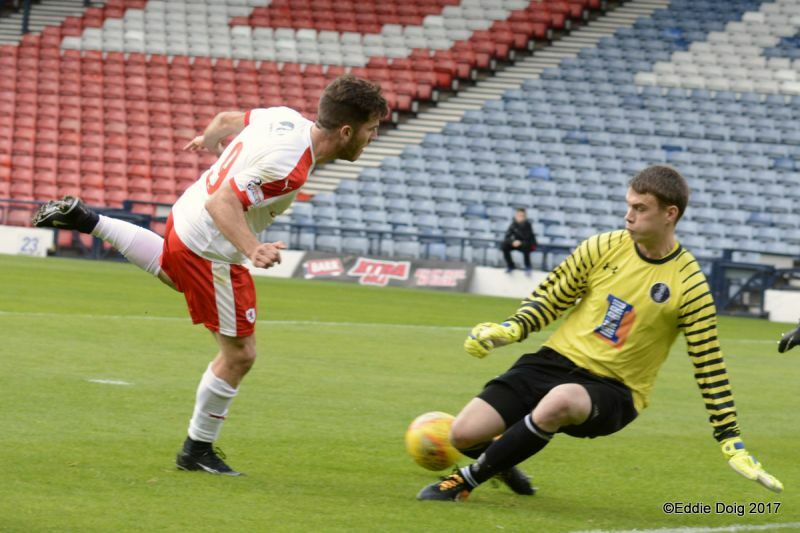 Smith claimed a shot at him before a couple of half chances went the Rovers way. 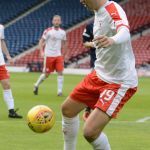 The home side continued to use their extra man in midfield to get more than their fair share of the ball testing Smith with a couple of dangerous crosses. 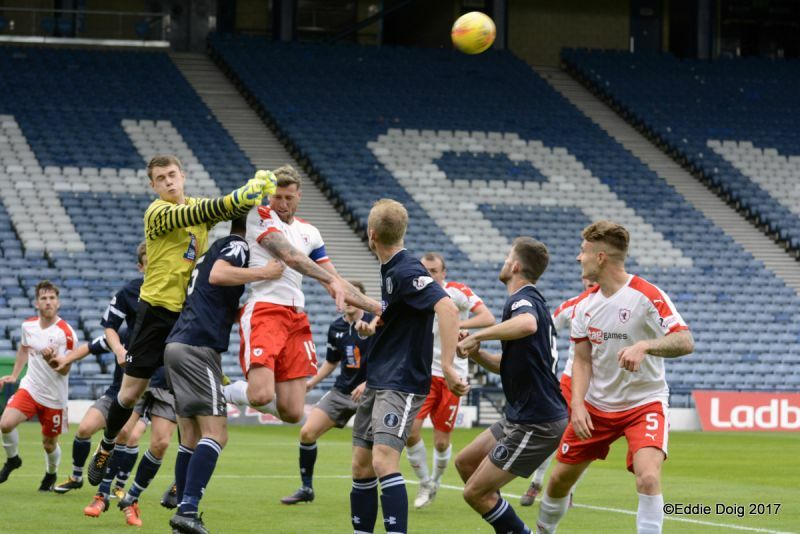 In the 76th Buchanan and Zanatta combined winning a corner which led to a stramash. 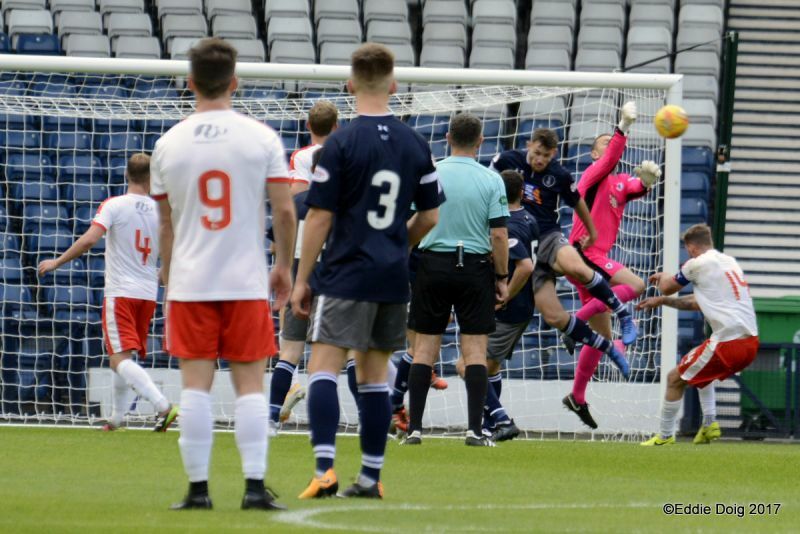 With ten minutes to go Buchanan again caused problems for the home side forcing a decent save from Muir. 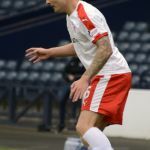 The blocked ball however fell to Bobby Barr who fired home past the keeper and a defender on the line from twelve yards. 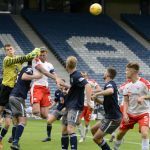 Davidson was replaced by McKay – the armband going to Barr – before Berry replaced Buchanan. 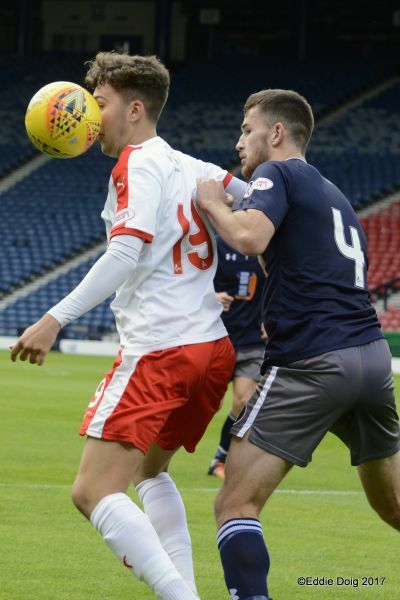 As time wound down good interplay saw Barr tee up Matthews who’s first time effort was rather too high. 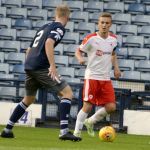 It wasn’t however over yet and a Rovers attack saw a cut back to the nearly prolific Jason Thomson who’s great shot screamed into the back of the net. 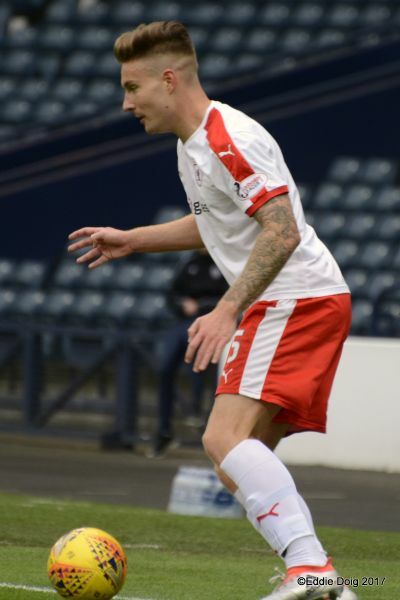 A cracking strike from Jason who like the rest of the squad has well and truly put last season behind him. 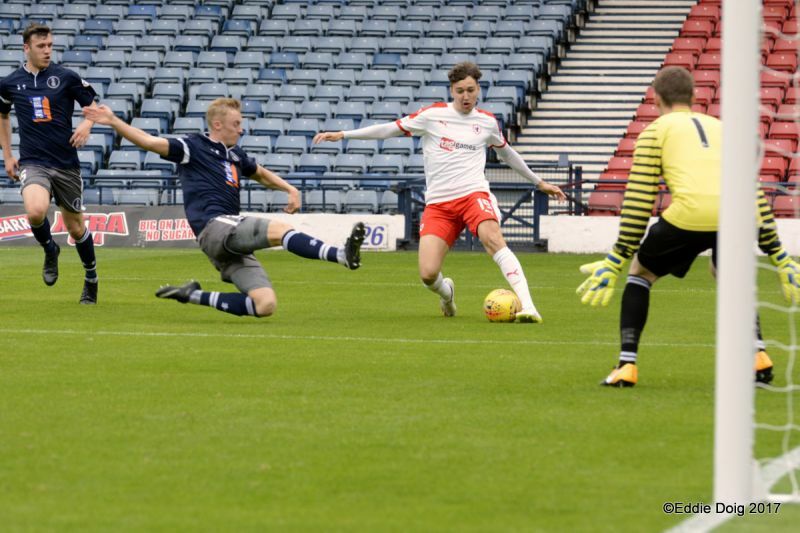 Five unanswered goals is a great result especially away from home but leaving the ground most present would concede that Queen’s Park will play less well and get better results while the Rovers will have much more possession and not win by so many in the future. 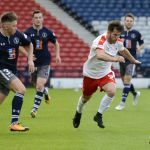 The difference was the quality of the Rovers finishing – with Buchanan doing well up top – and despite the amount of the ball the hosts had the snuffing out of their attacks – notably by Davidson – at the back. 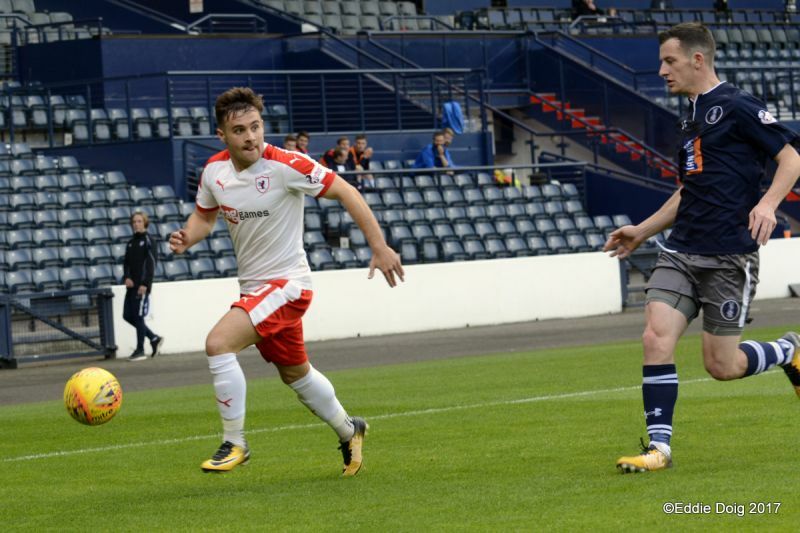 Half time and Raith two goals up. 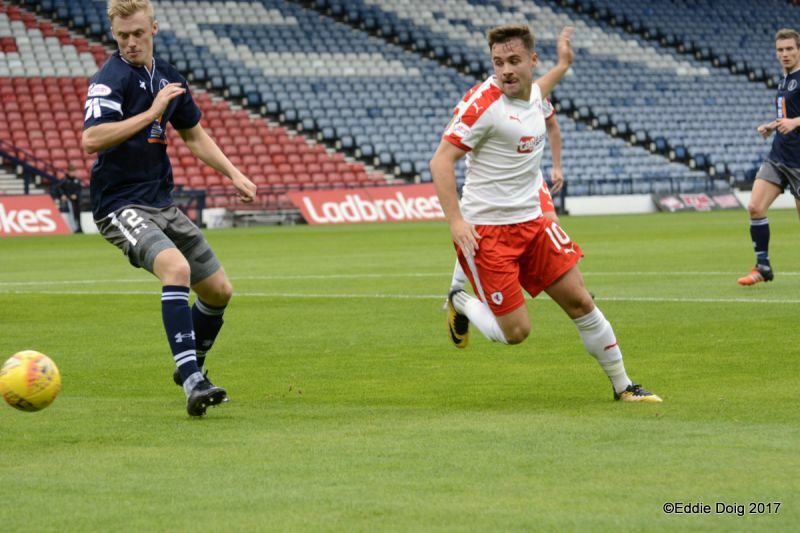 The pace slowed near the end of the half. 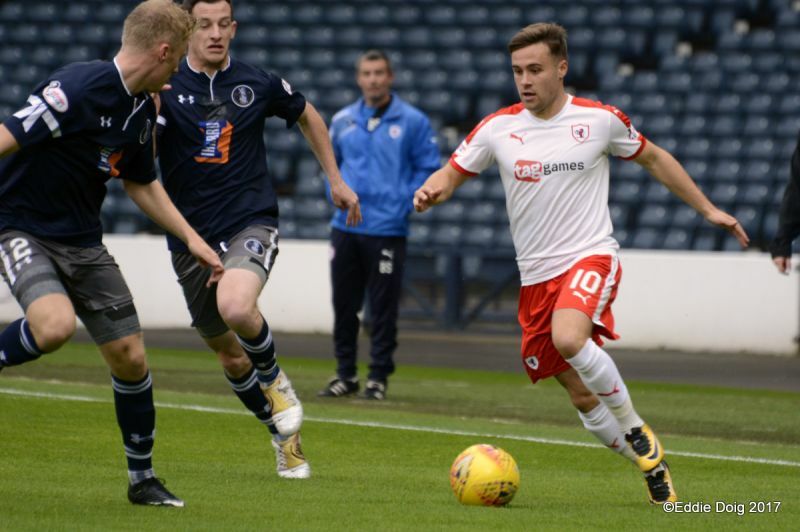 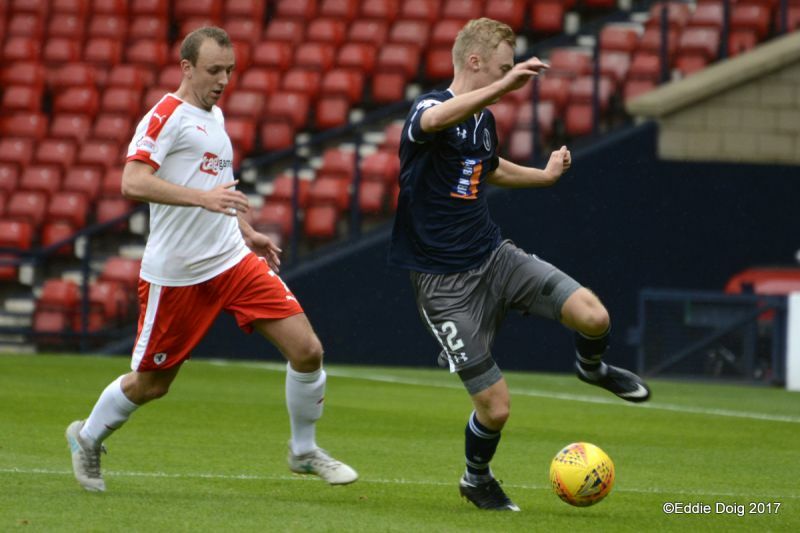 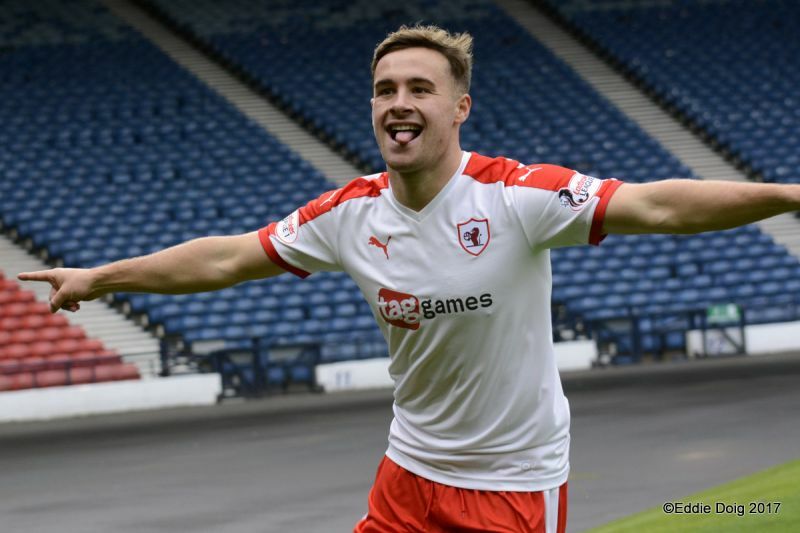 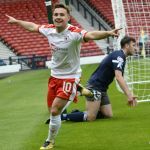 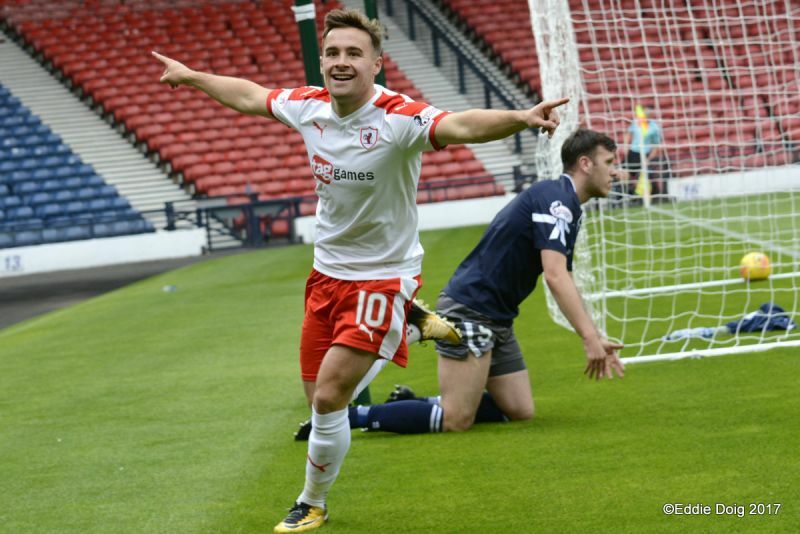 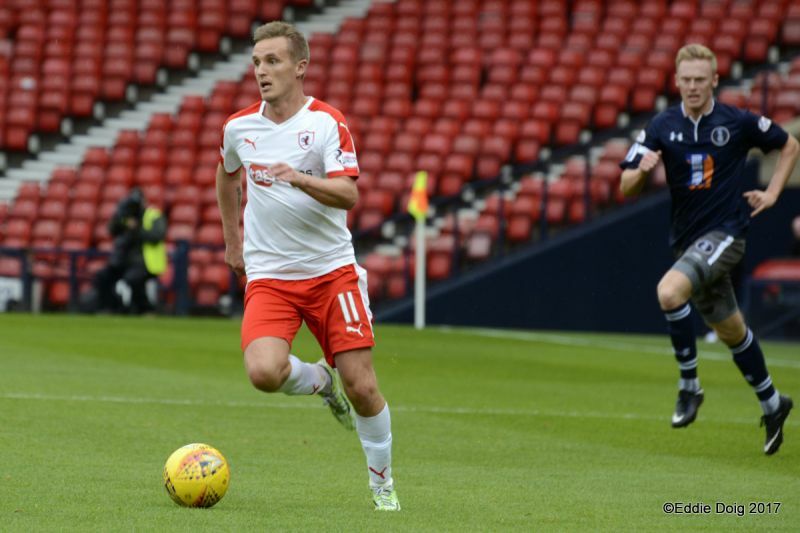 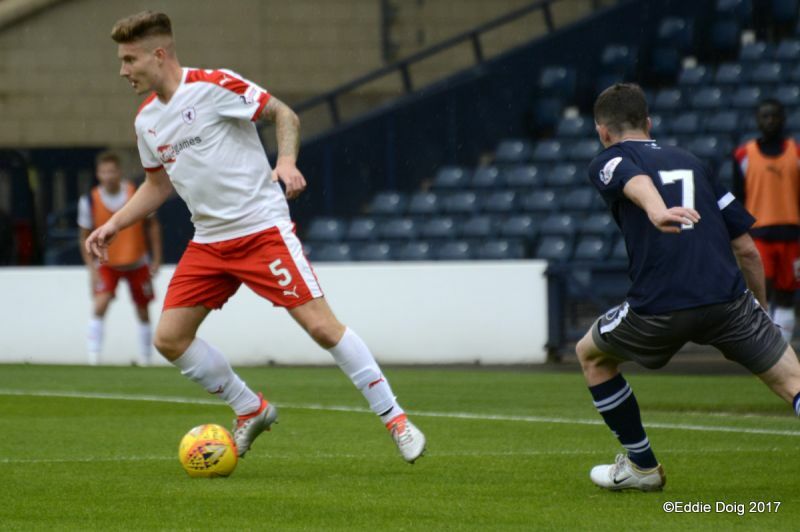 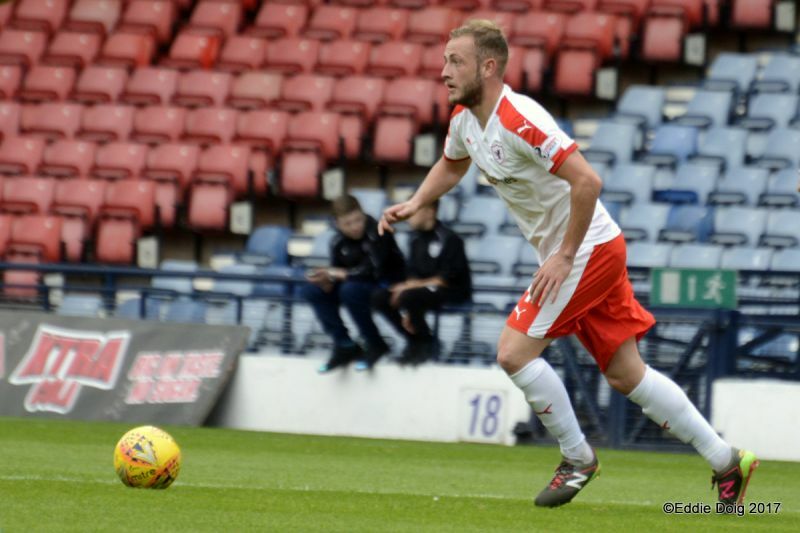 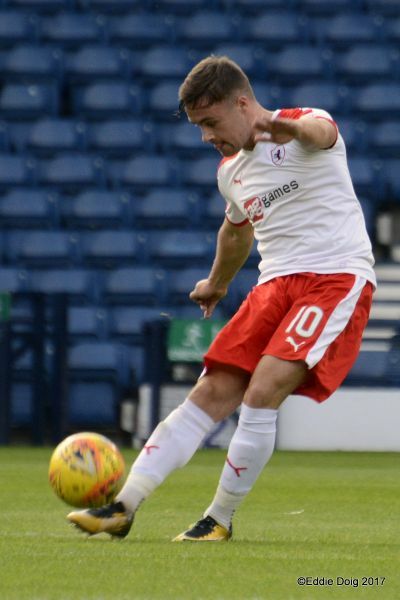 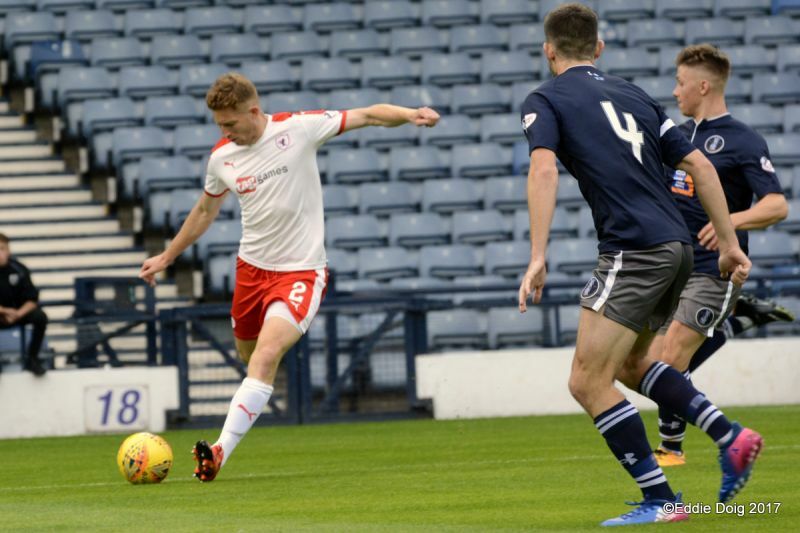 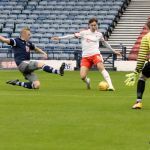 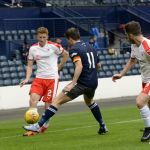 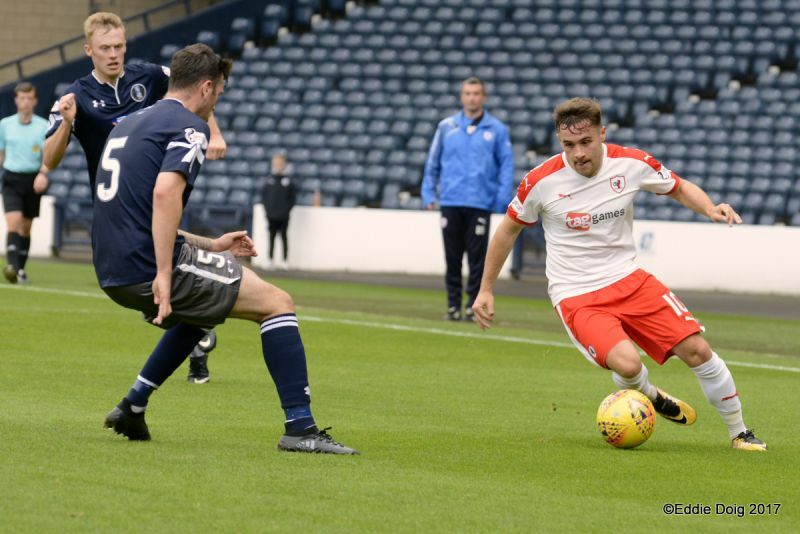 A comfortable win for Raith despite the game slowing down in second half. 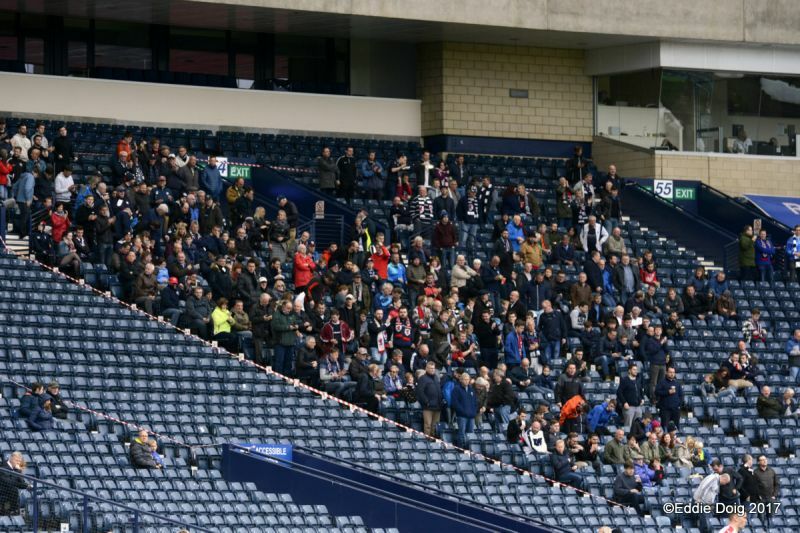 Weren't troubled by Queen's all afternoon. 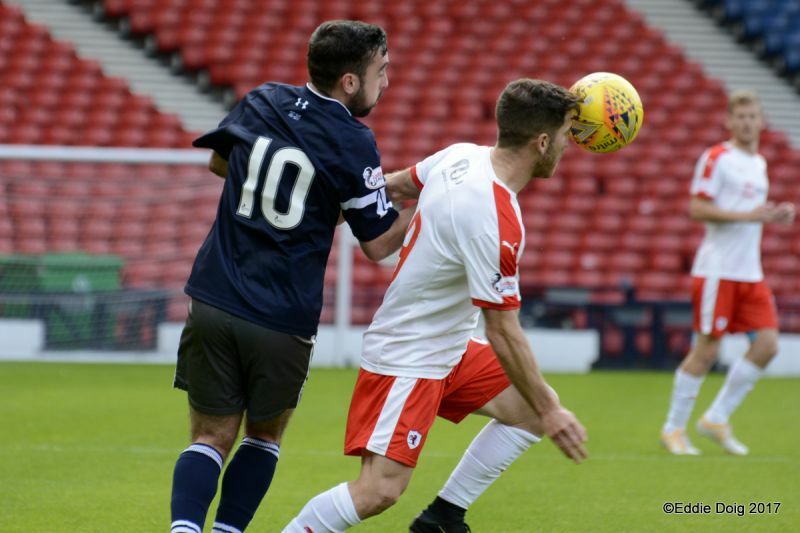 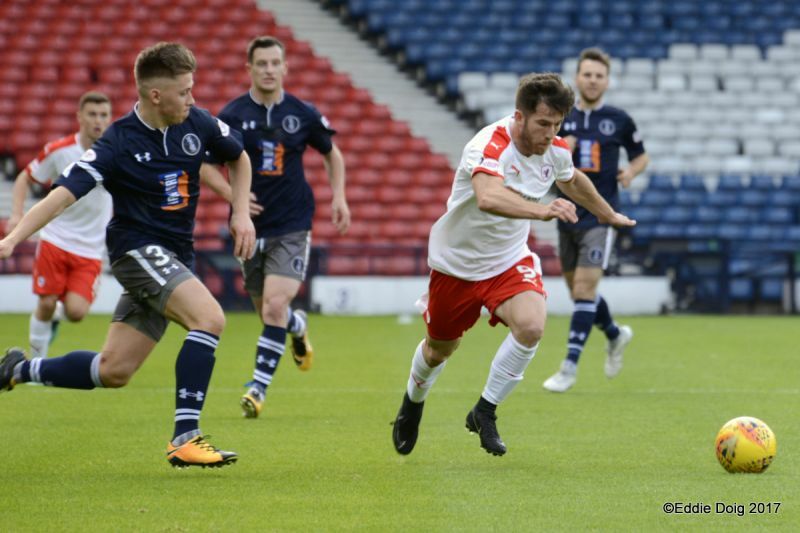 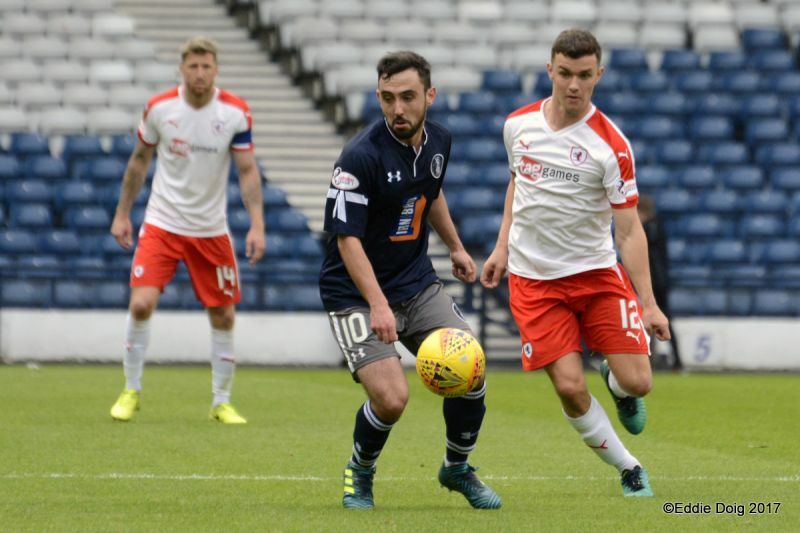 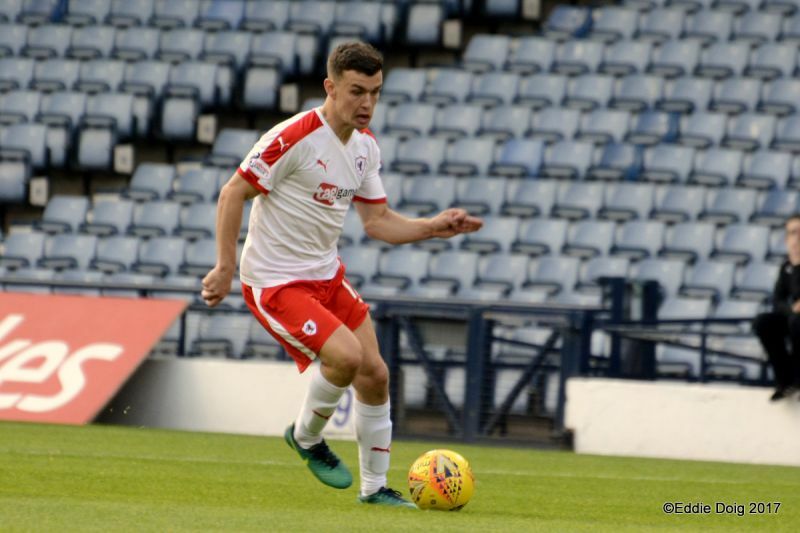 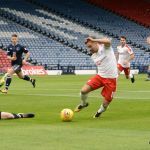 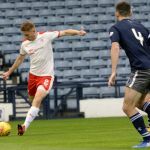 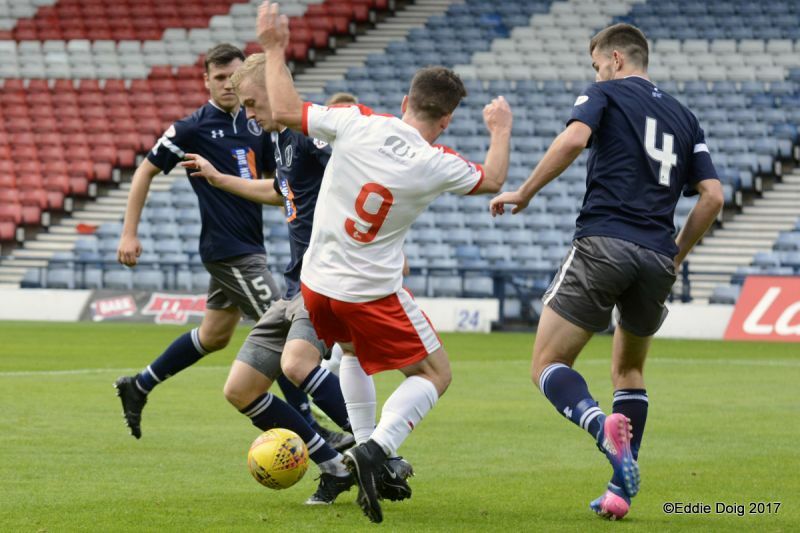 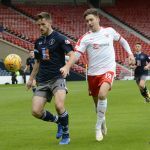 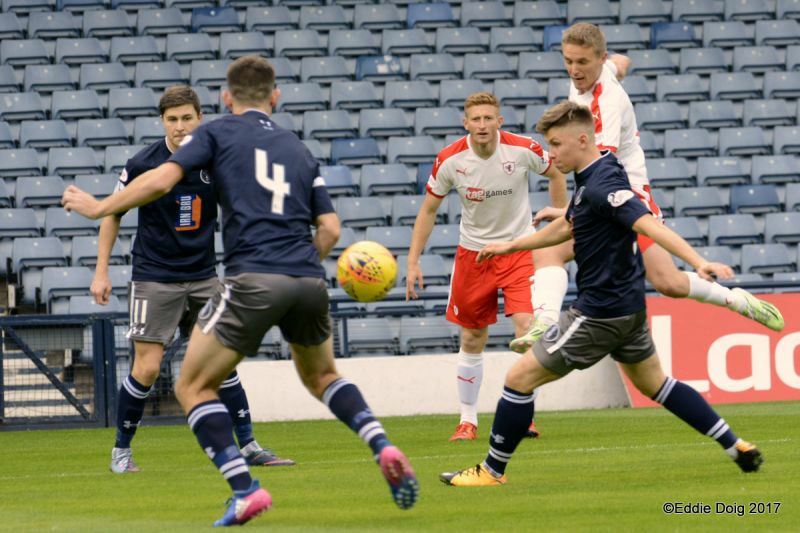 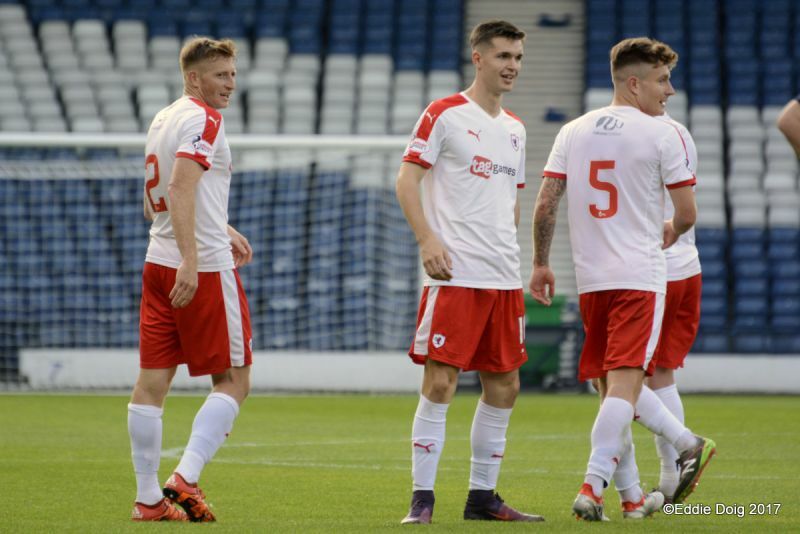 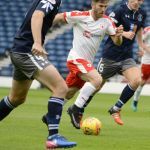 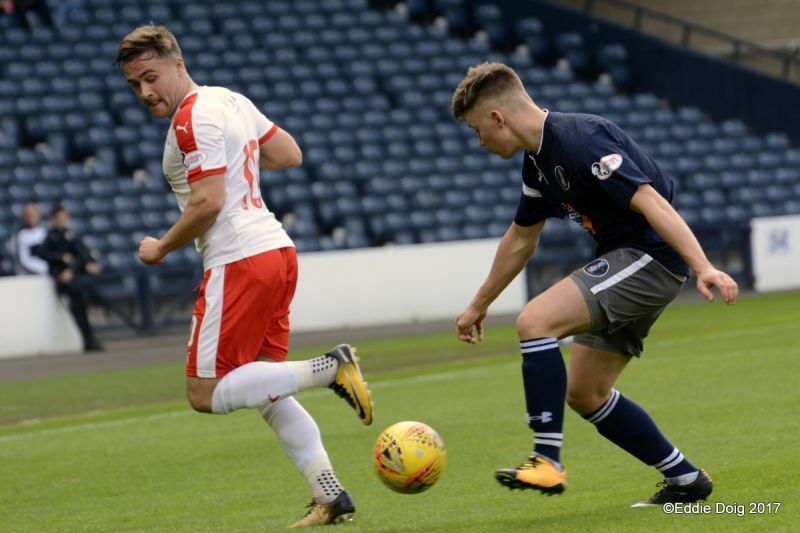 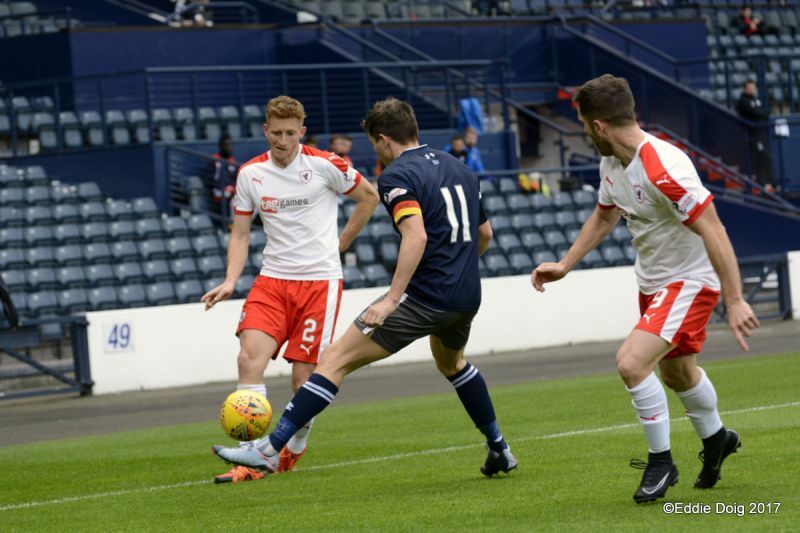 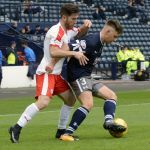 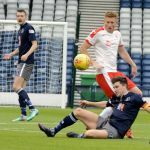 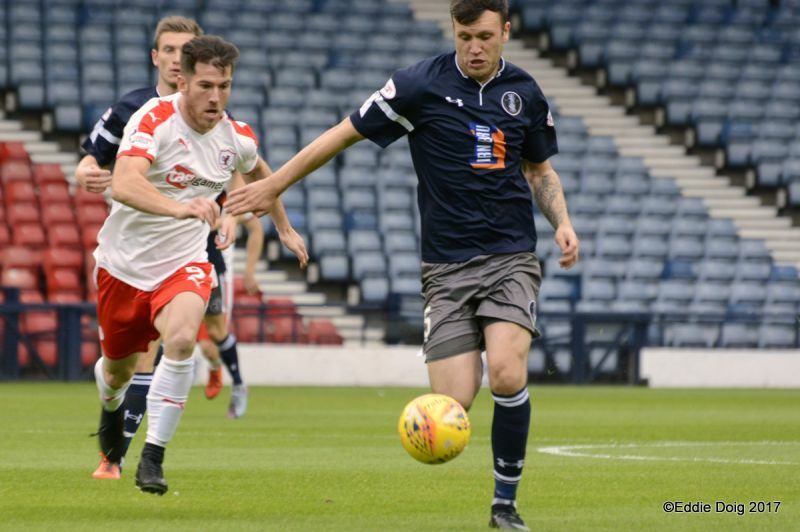 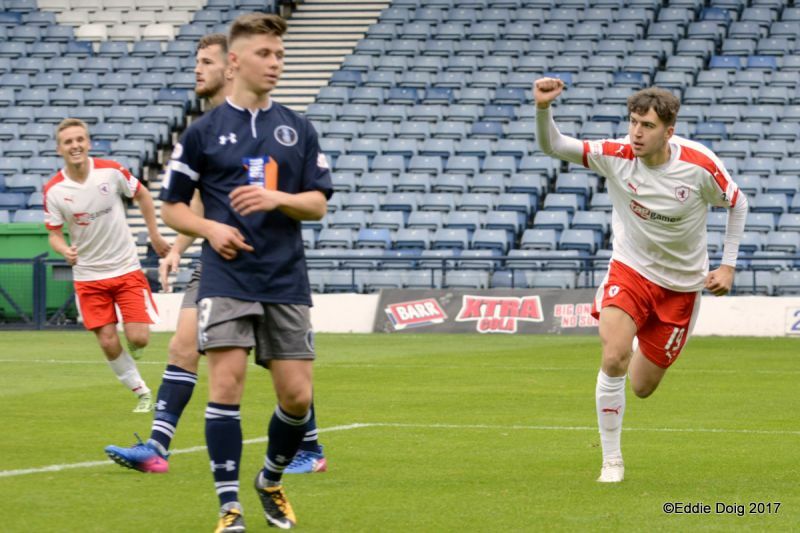 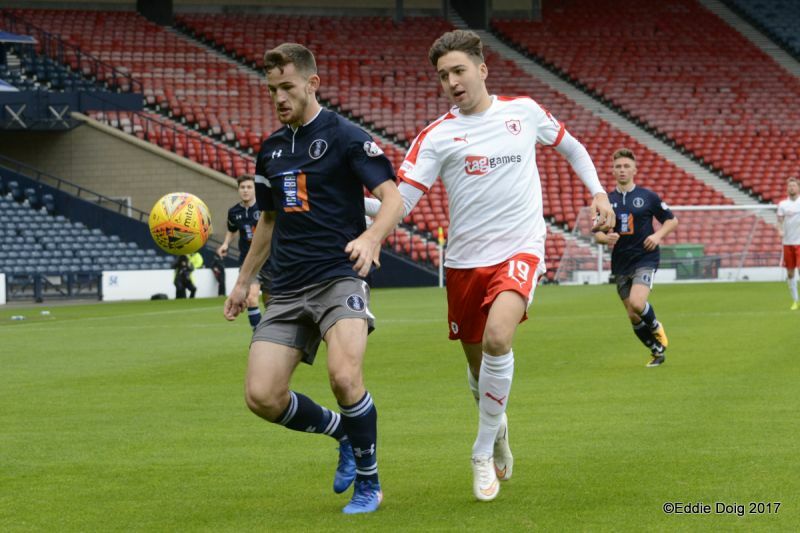 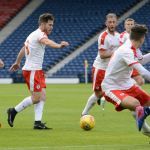 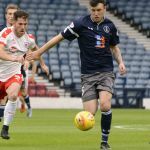 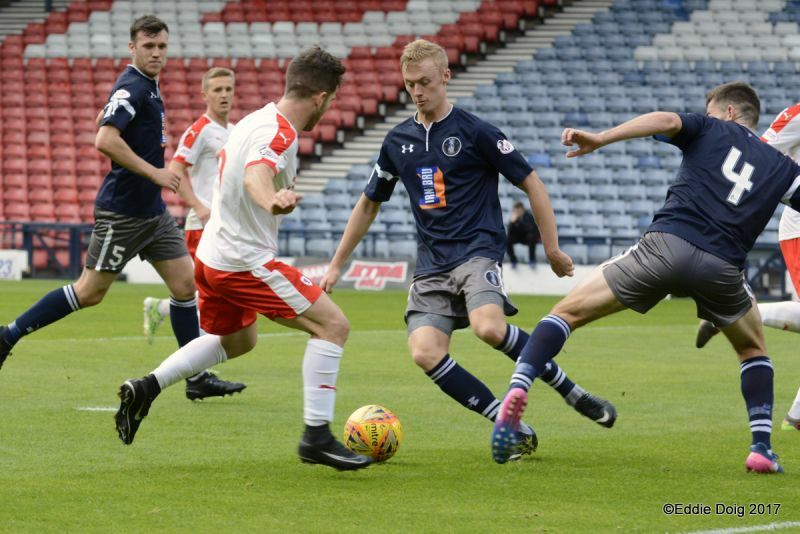 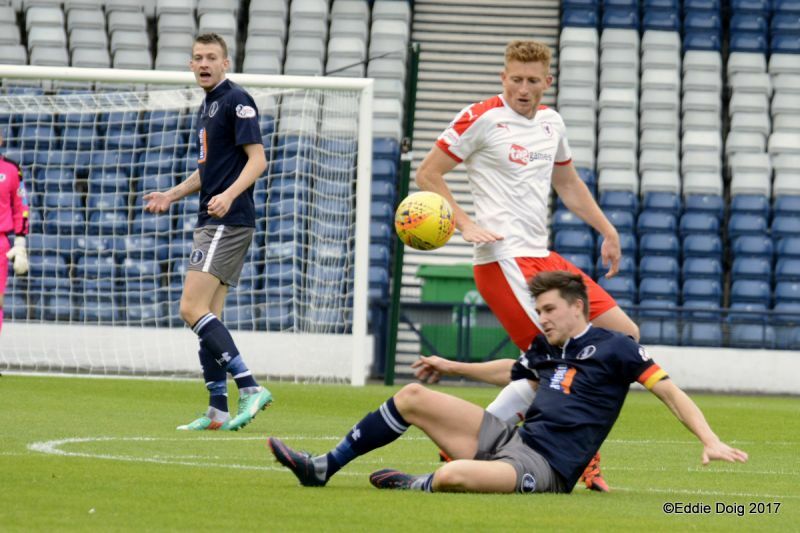 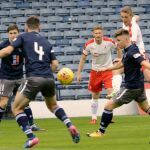 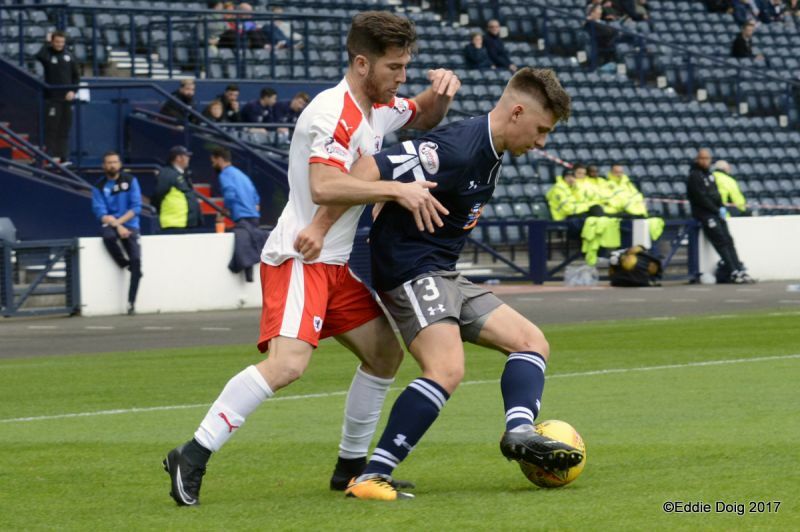 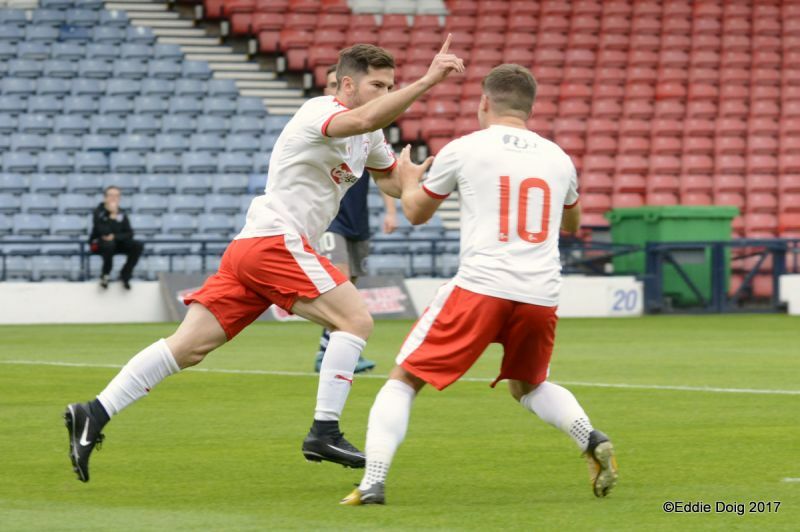 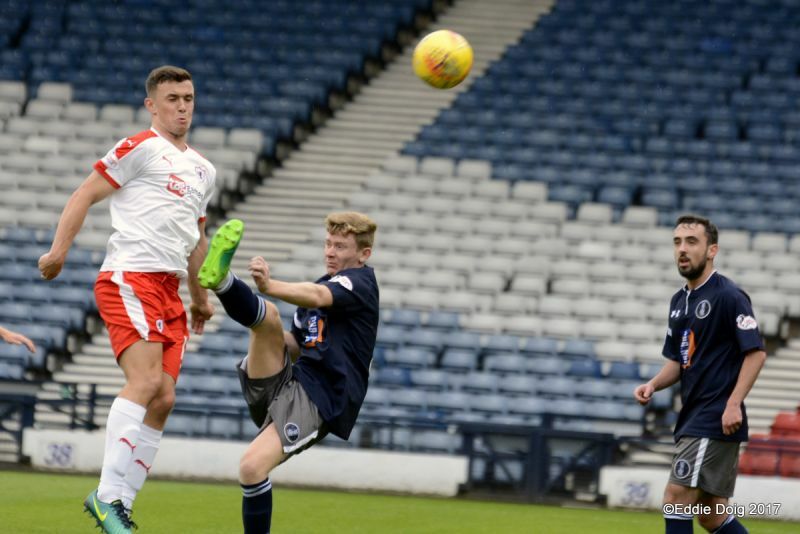 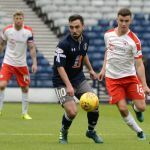 Raith Rovers will be looking for their seventh straight win this coming Saturday, when they travel to Hampden to take on Queen’s Park. 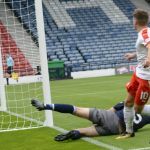 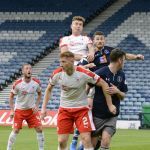 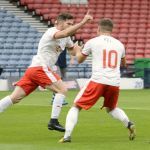 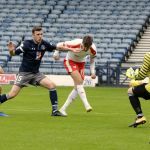 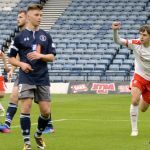 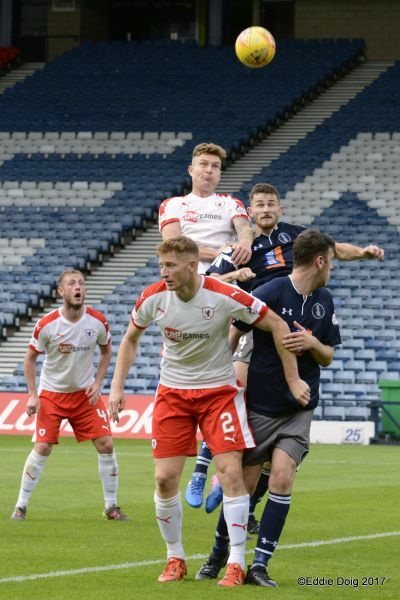 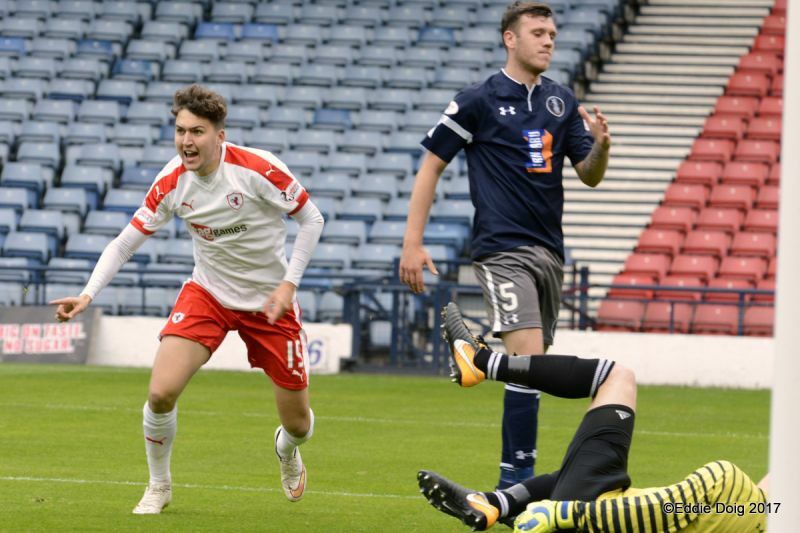 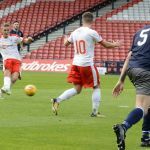 Both teams are going into the game on the back of good wins, with Raith prevailing over Ayr United in their top-of-the-table joust, while Queen’s sealed a 1-0 win at Methil against East Fife. 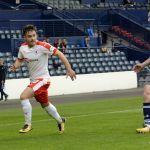 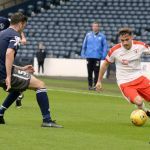 That victory for Gus McPherson’s side was their first win of the campaign and it was enough to lift them over Forfar Athletic and into ninth spot, leaving them writhing striking distance of East Fife. 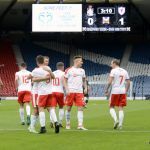 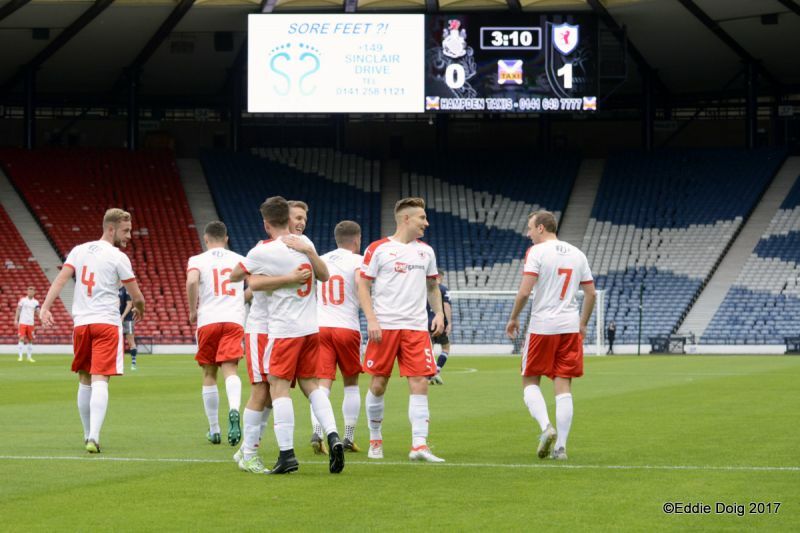 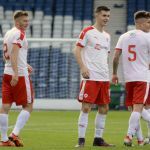 That win brought to an end a run of five games without one, with their only previous victories to date coming against Edinburgh City and Berwick Rangers in the League Cup. 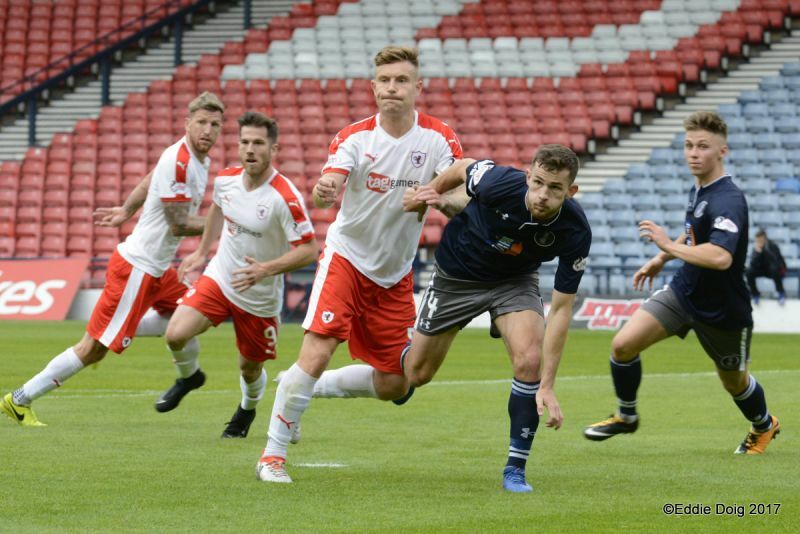 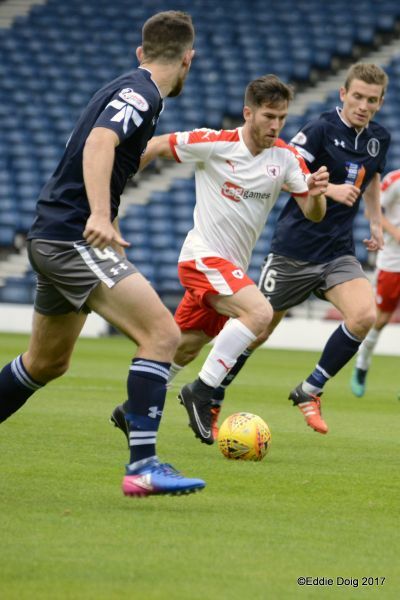 It’s been some time since these two clubs have faced each other in a league fixture, with Raith winning all four of the encounters in the 2008/09 season, although the two have met on cup duty far more recently. 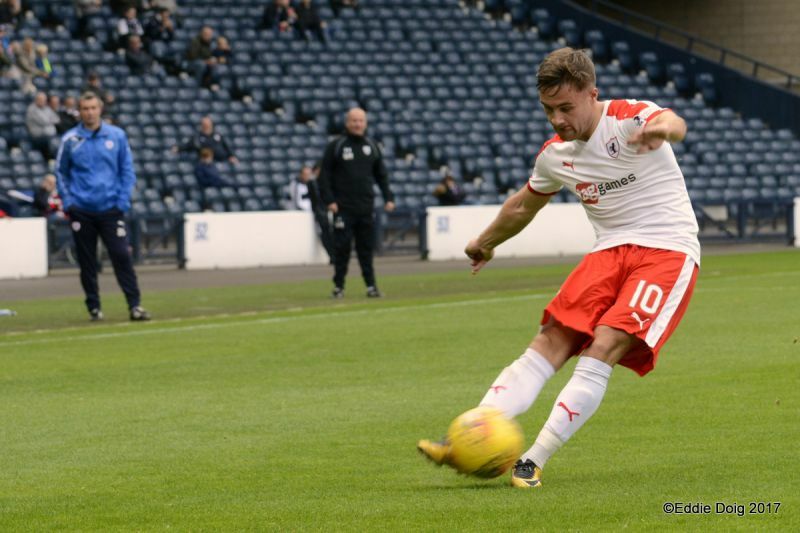 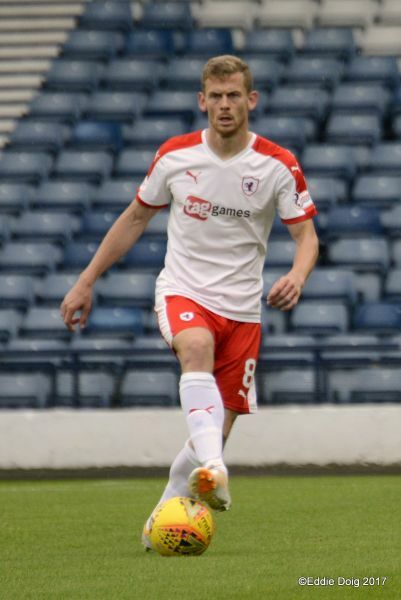 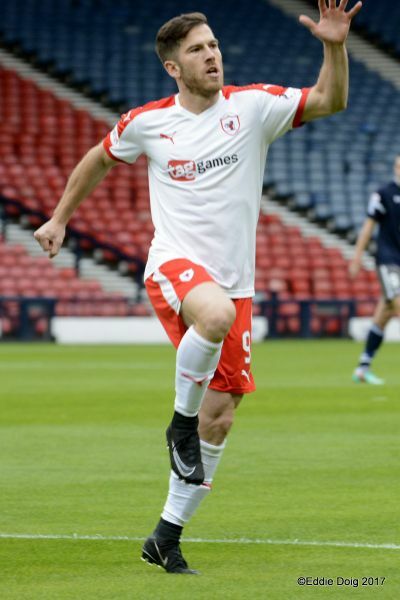 Back in 2013, Rovers progressed to the second round of the League Cup after goals from Joe Cardle, Gordon Smith, Greig Spence, Lewis Vaughan and a double from Calum Elliot handed Raith a 6-0 win. 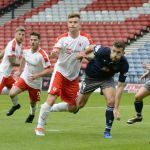 There hasn’t been a drawn match between these two sides since the 1986/87 season, a run of 11 fixtures, and Rovers have held the upper hand since then,with seven wins and three defeats in the last ten meetings.